Below are some of the most frequently asked questions about our SwapStitched clothes swap events. Clothes Swap is an event where you swap your clothes with friends, acquaintances or strangers. People take good quality clothing that is lurking un-loved in their wardrobes and swap them for new ones! Retail therapy sans guilt. We call our clothes swap events as SwapStitched. Swapping is an excellent way of renewing your wardrobe without spending! We know there are unused, good quality clothes lying in your wardrobe. You liked them once, but you don’t use them anymore. You don’t know who would like to use them. What if you could swap these clothes with someone who would appreciate them. And in turn get something you’d love to wear. Get #SwapStitched with us to do just that. Clear your unwanted, pre-loved clothing. Give them a new life. Benefit your pockets. And, you’ll also save the environment by reducing textiles becoming waste. What can I bring to a SwapStitched event? You can bring up to 10 pieces of good quality, unwanted clothing. These could be t-shirts, trousers, denims, tunics, dresses, skirts, sarees. Every item brought to a SwapStitched event will be checked if it meets our quality parameters. Only approved pieces will make it to the swap. Pieces that aren’t approved by our quality team will be separated. Our team is here to facilitate a smooth and enjoyable swapping experience for all our attendees. Please bring such items that you would be willing to take back. For each approved item, you will receive a coupon that can be exchanged for the swapped item of your choice. Some of our SwapStitched events will be theme based. Make sure you bring in pieces that are relevant to that theme. See our events page for more information. What can I not bring at a SwapStitched event? Socks, underwear, lingerie, night wear, pyjamas are not allowed. If the item is not in a good condition, something that has shrunk, is stained or needs repairing (e.g. missing buttons, broken zips, loose sequins or beading, rips, tears, fabric pulls or holes, bobbly bits, disintegrating seams or hems, lint or fluff) will not be accepted. At times, we may decide to place it in the minor repairs section on our swap floor, however, coupon will not be issued for the same. Can I bring shoes, accessories, bags? At the moment, no. But we are working to include these items to our swaps! Stay tuned on our event page to get updates. How does a SwapStitched event work? Every SwapStitched event will have 3 designated areas. 1) Check-in counter: Attendees drop in their clothes. Our team quality checks, weighs, registers and issues coupons. 2) Swap Floor: All the clothes are displayed here for you to browse. We will have changing rooms at the venue as well. 3) Check-out counter: Attendees submit the coupons to check out with their swapped items. Bring your own bags! Please find the exact timings of the SwapStitched event that you plan to attend on our Facebook event page. For each clothing item you bring at our check-in counter that passes our quality check, you’ll get a coupon that can be exchanged for another item from the swap floor. Submit your coupons at the check-out counter against your chosen pre-loved, swapped item to complete the transaction. What if I pick up lesser items than I brought? If you’re picking up lesser items than the number of items you brought at a particular SwapStitched event, the remaining coupons can be redeemed at the next one. We encourage you to come with your friends/family to increase the chances of using up all coupons you receive. Can I take back the items that are submitted at the check-in counter? Items once checked in reach the swap floor and there’s no way to keep a track of them. Anyway, you brought those items in the first place because you didn’t need them in the first place, no? What if I need more items than I brought? Additional coupons can be purchased from our check-in counter at INR 100/- per coupon. If I bring clothes that have a higher value or are from a luxury brand, can I swap them for an item of a similar value? Currently, we are only enabling a 1 for 1 swap. Meaning, irrespective of the value of the item brought in, each item can only be swapped with another one. We are working to refine our process to enable value-based swaps in future. Can I sell the excess clothing I have at SwapStitched? No. We are a swapping platform and this is not possible with us. What happens to the clothes that are left over at a SwapStitched event? We bring some of them over to the next swap, rest are donated to a local charity. How can I know about the future SwapStitched events that are being held? Please follow us on Facebook and Instagram to stay updated. What do your swappers have to say about the swapping experience? Are you open for collaborations? Yes! We are open to hear and experiment with ideas that a) extend the useful life of clothing b) prevent them from going to a landfill. 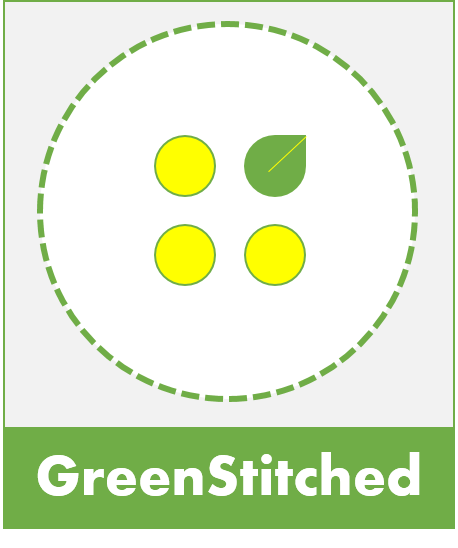 If you’re looking for hosting a swap at your location, fundraiser events, clearing out deadstock, fun ways to engage your audience or have any creative ideas, write to us at greenstitchedn@gmail.com. This entry was posted in SwapStitched and tagged clothes swaps, consumer use, GFX, Global Fashion Exchange, reuse, swap, SwapStitched.